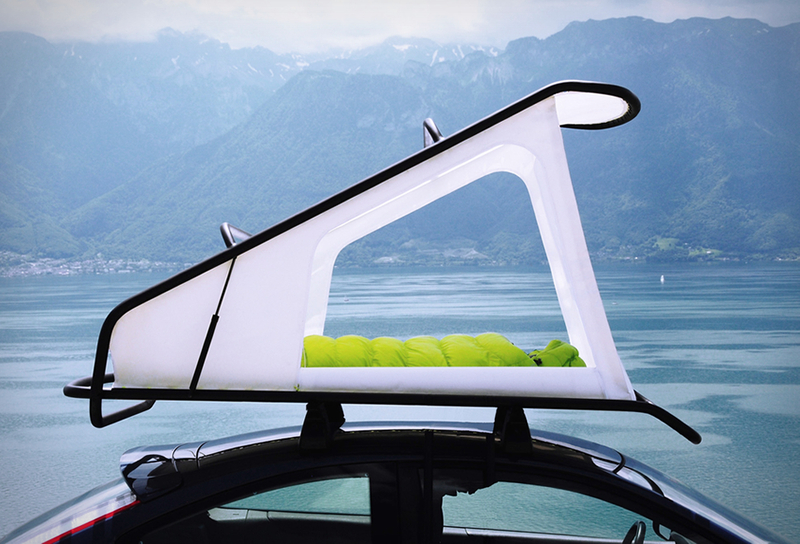 Designer Sebastian Maluska has created a simple rooftop tent for dynamic nomadic people that can be fitted to the roof of any car. 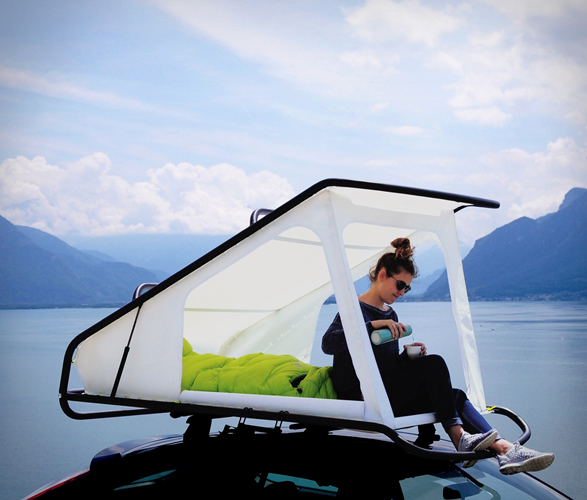 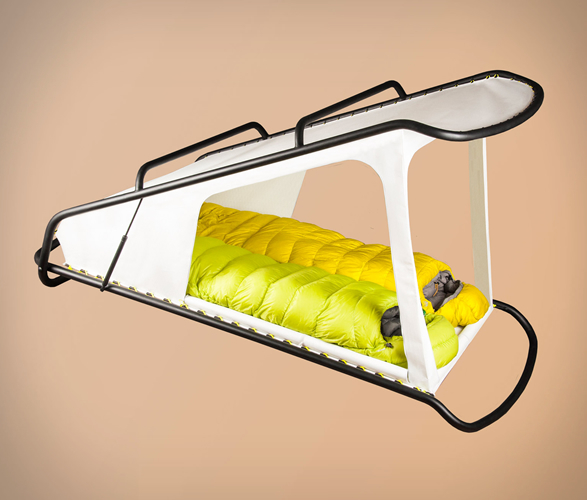 The lightweight pop-up tent is inspired by sailing materials, and unlike other car tents that are heavy, very expensive and bulky (which consumes a lot of fuel), the Nest uses as little materials as possible, which creates a more affordable and simpler way to sleep on your car. 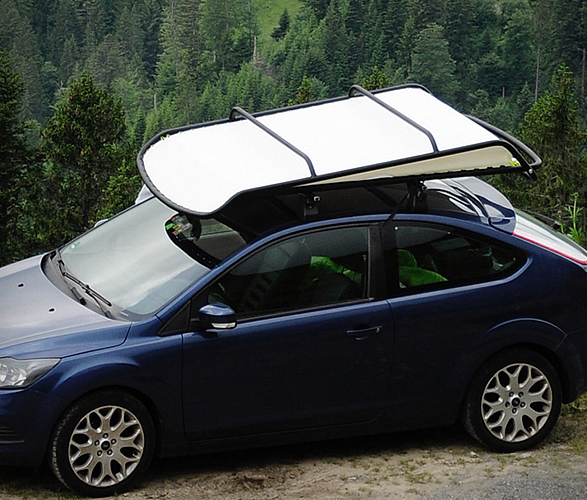 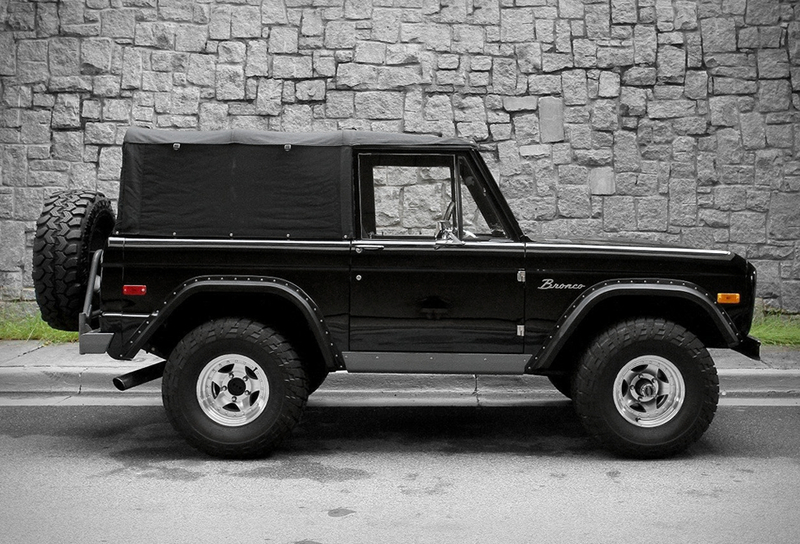 It is made from two light-weight aluminium frames covered with waterproof sailing fabric. 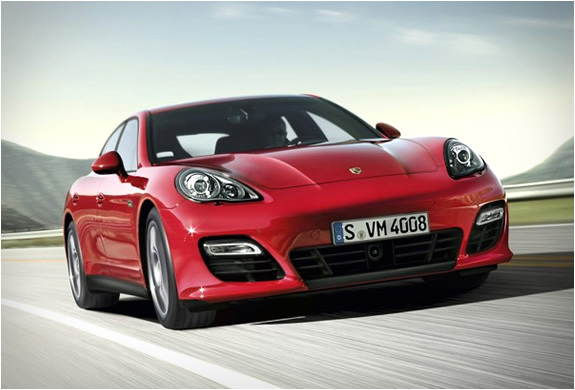 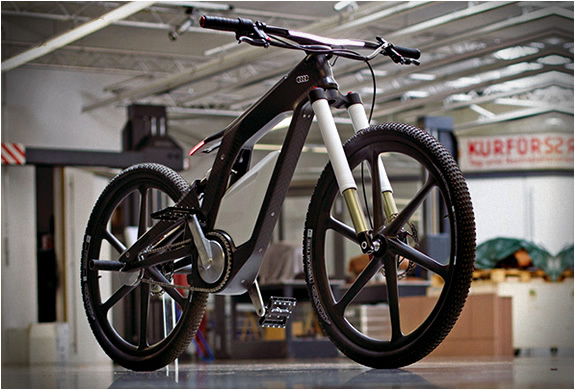 In the closed state the upper frame overlaps the lower frame and creates an angle in order to provide perfect aerodynamic while driving. 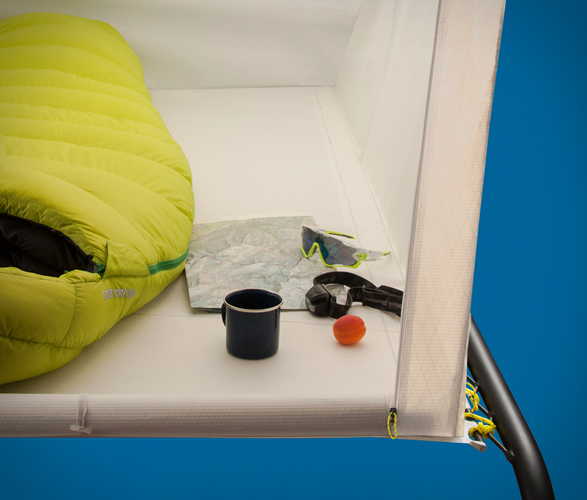 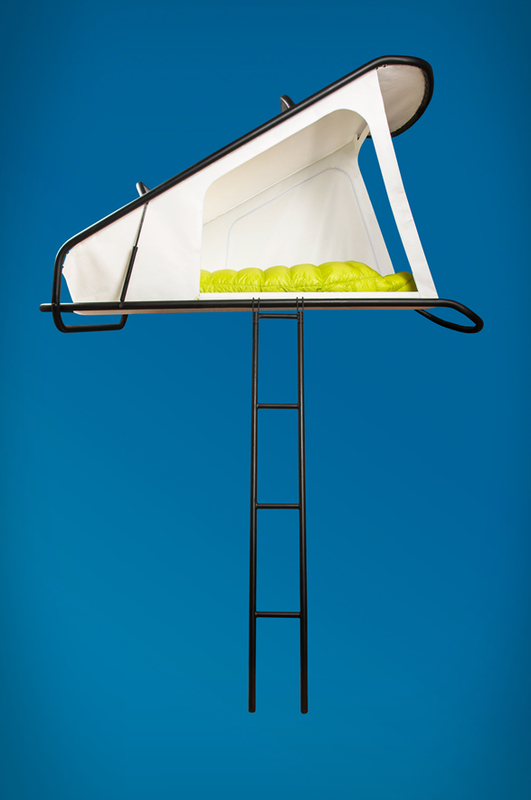 There is also a ladder stored in a fabric pocket under the sleeping surface.